It is only when you stumble across a songwriter whose lyrics both sound and read like poetry that you realise just what you are missing out on the rest of the time. When those lyrics are set to music that balances burning indignation with lilting tenderness, and delivered in a voice imbued with the spiritual passion and yearning of gospel and the blues, you figure you’ve chanced upon something pretty special. 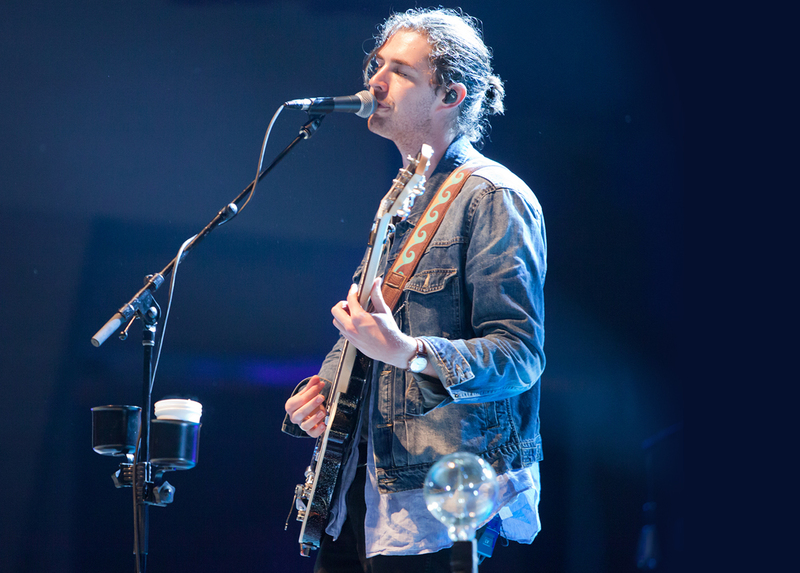 And so it is with Andrew Hozier-Byrne, a County Wicklow singer-songwriter and multi-instrumentalist who goes by the name of Hozier, and whose way with words is a blessing (for us) as much as his susceptibility to romance, and romantic dreaming, sounds like a curse (for him). The vividness of his imagery speaks of a soul in thrall to, and beset by, intense and sometimes ungovernable emotions. We were all blown away by it and love it. Especially Andy (Hozier). The gain structure was the same as the beta but it was a lot smoother in the 3-5k range and it has a really nice presence without being overpowering. It placed his vocal really nice in the mix. All in all an absolute winner. It will be used as Andy’s main vocal for the foreseeable future.